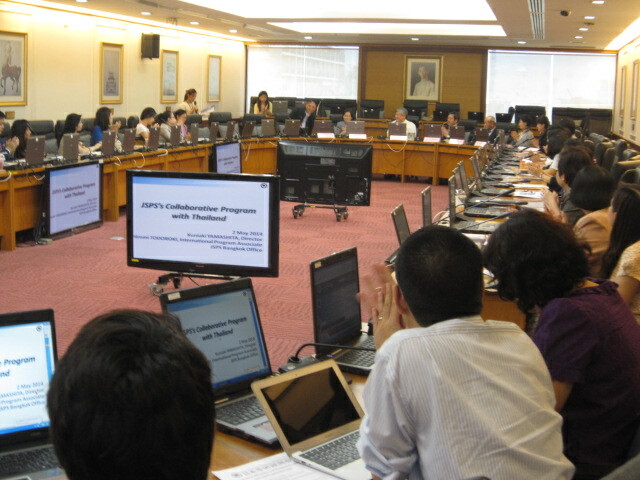 On May 2, JSPS Bangkok Office held JSPS guidance seminar at Mahidol University, Thailand. Mahidol University was ranked 61 and received high score in terms of international outlook in Times Higher Education Asian University Ranking in 2013. 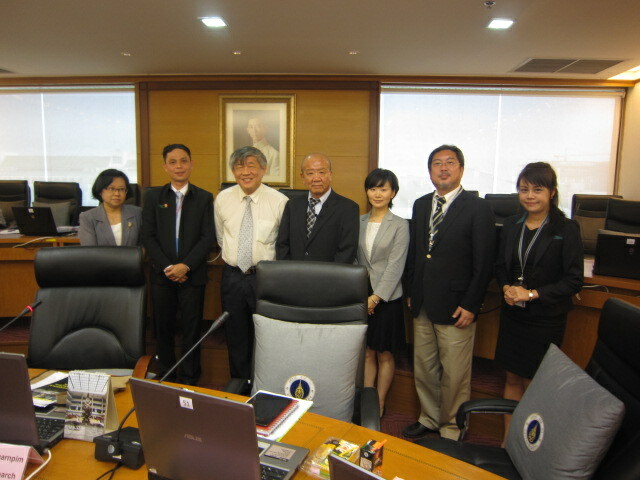 When JSPS had made a courtesy visit to Mahidol University on March 24, Prof. Dr. Prasit Palittapongarnpim, Vice President for Research agreed to hold JSPS Guidance Seminar at the university. Under the great support of Mahidol University, JSPS had a successful guidance seminar attended by 50 participants including many young researchers. Prof. Taro Mochizuki, director of ASEAN Center for Academic Initiatives of Osaka University also joined the seminar. 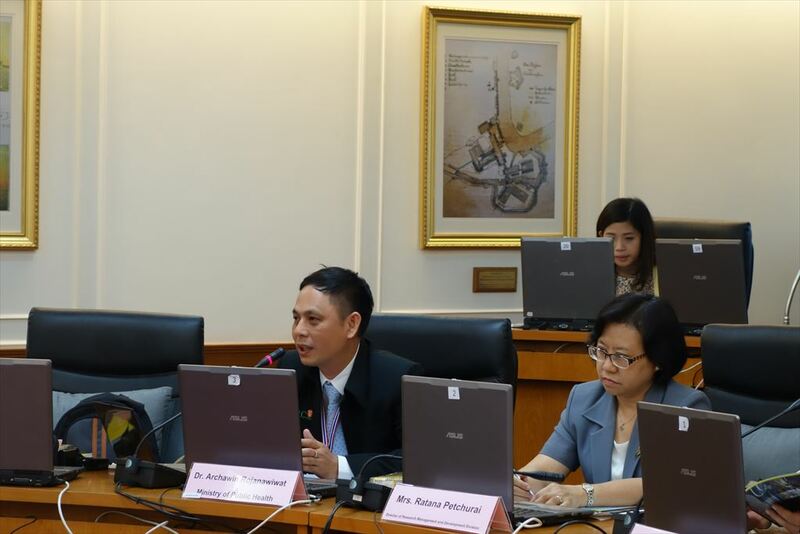 Following the opening remark made by Prof. Dr. Prasit Palittapongarnpim, the Director of JSPS Bangkok Office explained the science and technology policy of Japan and JSPS international programs. JSPS Bangkok Office realized that Thai branch offices of Japanese Universities act as a bridge between Thai and Japanese researchers. After the presentation, Dr. Archawin Rojanawiwat, Clinical Research Center, Department of Medical Sciences, Ministry of Public Health, who had received doctoral degree from Nagasaki University under the RONPAKU program delivered his lecture on his research experiences in Japan. He also advised on the application and encouraged young researchers to try and get the chance to pursue their research in Japan. During Q & A session, many questions were raised as regard to how to find out a Japanese host researcher. Prof. Yamashita recommended them to approach Japanese universities’ branch offices in Thailand to gather information and ask for help to contact your prospective host researchers. Prof. Mochizuki added that Osaka University ASEAN Center was willing to help Thai researchers who want to collaborate with researchers in Osaka University. Prof. Dr. Prasit Palittapongarnpim also advised the participants to consult international department, for Mahidol University had many connections with universities in Japan.